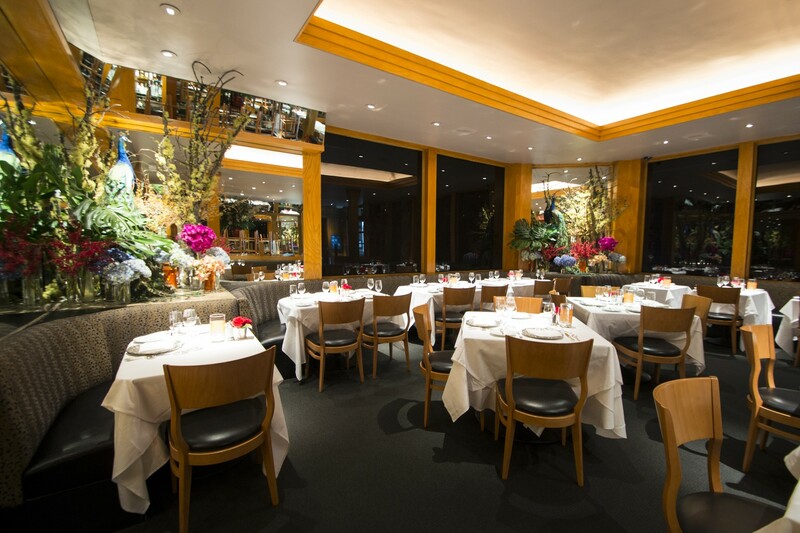 Walking into Gary Danko is like stepping into an alternate universe of San Francisco. There are gilded plates and roses on every table, shiny parquet floors, big mirrors, and extravagant floral arrangements. There isn’t a Fjallraven backpack in sight. There are a lot of ties, older women with big diamonds and vintage Louis Vuitton bags, and dudes who look like they could own a casino in Macau. And you know what? We’re into it. The food at this consistently top-ranked restaurant is delicious, the service is great, and experiencing the rarely-seen world of old-school, classy San Francisco is pretty entertaining. Here’s the deal at Gary Danko: you can choose to order three, four, or five courses, which you select from the appetizer, seafood, meats, cheese, or dessert categories. No set menu, no rules, just order whatever you want. Our waiter claimed he’s only ever seen one person order four desserts out of five courses - so we’d like to throw out the five for five challenge. That said, your meal will end with a free little tray of desserts, so if you have less of a sweet tooth (or want to maximize the savory elements of your meal), focus on the non-dessert courses and just sample the mini sweets. The prices are, expectedly, a little steep, but portions are sizable. We actually saw a bunch of older folks taking their leftovers to go. Nothing like day-old juniper-crusted bison to set you right. The food at Gary Danko is excellent. It is not inventive by any means, and it is all very rich, but it is beautiful and delicious. Gary gives the people what they want. Dungeness crab, filet, lobster, foie gras, and creamed, buttered everything. The meal feels luxurious to the point that you could plausibly rename the restaurant Gout Palace and people would still show up. At least we would. And while you’re at Gary Danko, you’re treated like a king, or at least the owner of a lot of real estate in Nob Hill. The staff is incredibly friendly and unpretentious, and they create a vibe that’s unintimidating and welcoming, rather than making you feel like you snuck in through the back door and should probably just go outside and eat some street trash. While you’re there stuffing yourself with buttered seameats, living the life the other half lives, you’ll truly enjoy yourself and experience a San Francisco you might not have even known existed. Yes. Yes. All the yes. This is a perfect bowl of risotto with a healthy serving of shrimp and crab. Get it. Meaty pieces of crab resting on little melon balls. Sweet and salty deliciousness and the lightest thing you can get here. Putting lobster on top of mashed potatoes is...not right. We love both of those things independently, but the combo doesn’t work. The lobster does’t have a ton of flavor, and the potatoes were 95% butter. We’d skip this. If you’re a 90-year-old on death row and want all the softest, richest things for your last meal, order up. A top-notch steak. The shallot marmalade should kick Ed Lee out of office and run this town. Honestly, we have no recollection of the quail itself because we are so obsessed with the mushroom, quinoa, and foie gras stuffing. Gary clearly added quinoa so the other chefs would let him sit at the San Francisco table, but it’s amazing nonetheless. Best dessert. Full stop. The cake is light and deliciously lemony and the sorbet melts over it in a magic glaze.